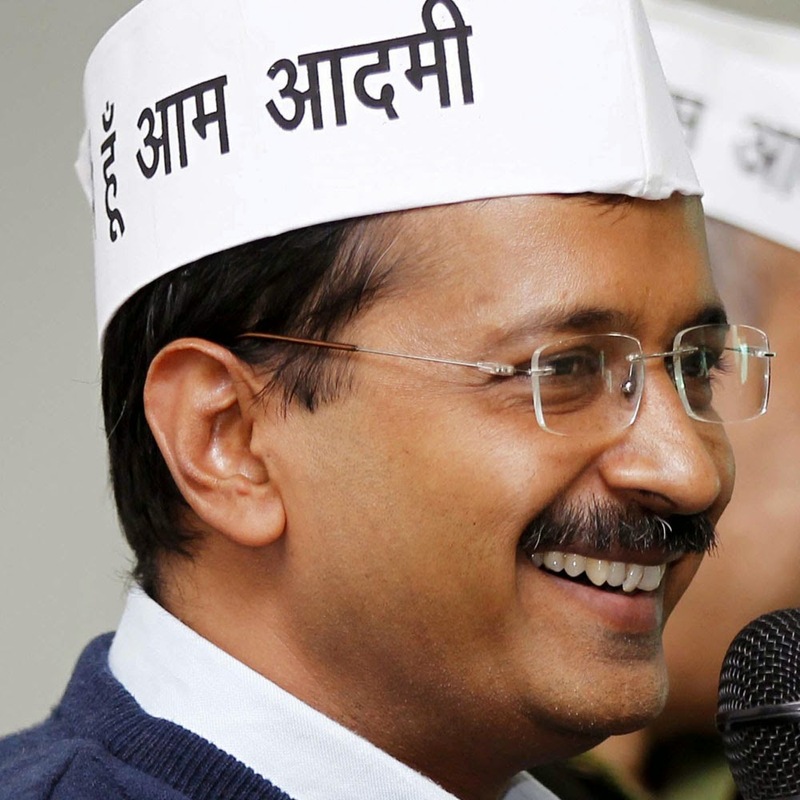 Arvind kejriwal has been a trendsetter in politics by implementing new and innovative ways of doing politics and involving people in the process of decision making. When BaggOut gave me the opportunity to select a personality to write about his hypothetical shopping experience then my obvious choice was Mr. Kejriwal for his experimental attitude. I personally feel he has a good dressing sense. For me good dressing sense refers to dressing according to situation. He dresses like an ordinary man and not like a typical political which actually helps him connect with the thousands of people. I can't say it is a strategy or not but it has worked well for him. Kejriwal values authenticity and hence he would have definitely valued the fact that every person who enters the website has to log in which actually makes the experience very personal. 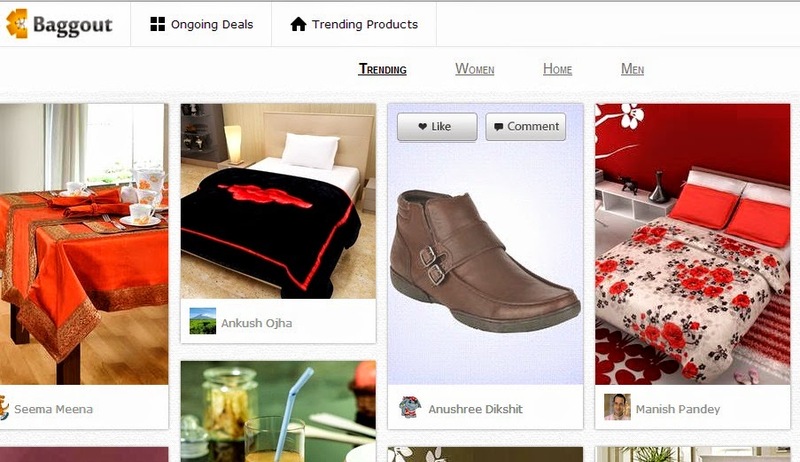 Second but most important thing which he would have noticed would be the Ongoing deals and trending product section. He is pro-people politician and I think nothing would have made him more happy than seeing good deals being served to the common man. He would have definitely said this line "Iss website se Aam Aadmi ka kuch toh bhala ho raha hai". Yes, it's true with so many ongoing deals which offer the best prices in the market, it will be really hard for someone to miss the shopping experience offered by the Baggout. 1. Formal Shirt - I feel he prefer wearing formal shirt which are generally of lighter shade. This formal shirt from park avenue which is coming at a reasonable price would be his best pick. The blue checks will match with his personality and will provide a soothing or calmer effect to his personality, which is highly recommended isn't it ? 2. Trousers - The only thing which will match the elegant park avenue formal shirt will be a park avenue formal trouser. At a reasonable price with a cashback offer it is definitely a irresistible deal. 3. Shoes - Shoes are something which defines a man's personality. People mostly ignore their shoes but shoes leave the highest impact on the other person. A person wearing elegant clothes totally spoils his impression by wearing dirty and worn out clothes. I feel this watch from casio will definitely suit kejriwal's personality. The metal strip actually gives an impression of a strong man hence it will definitely go well with his personality. 5. 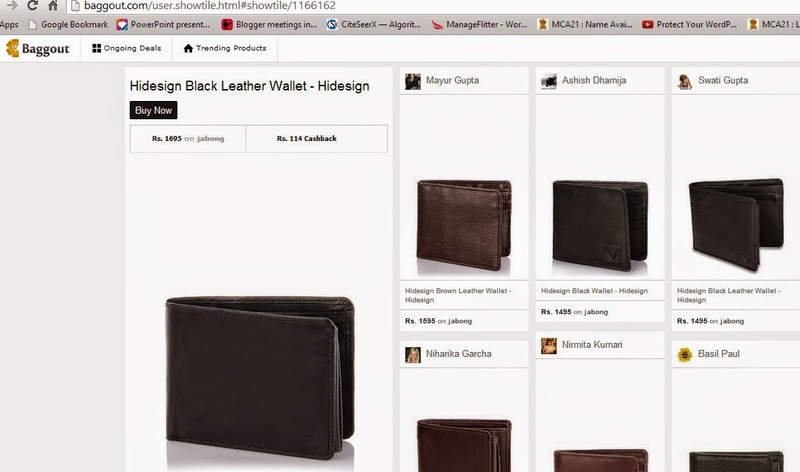 Wallet - The last thing which completes the whole shopping experience for a man is his wallet. This accessory is something which a man must carry with him, it's not a need but a necessity. 2. Best Deals - It is important for us to know what's the best deal in town and for that we keep on browsing the internet the whole day. 3. Buying "socially" or with friends- We are a social animal and we tend to get affected by what our friends are buying. Hence, we always keep a tab on their social profiles to see what new they have purchased. 4. 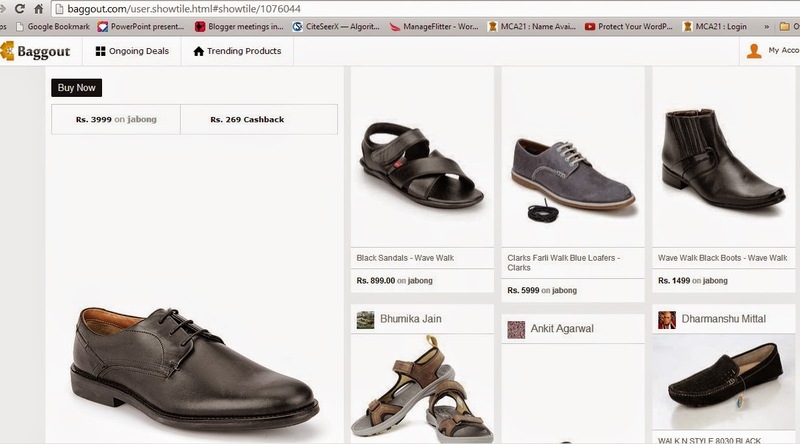 Comfort or Convenience - We shop online because it provides us with a hazzle free shopping experience where we don't have to bargain nor do we have to roam around the mall for several hours. With just few clicks we end up getting what we want. 5. Exclusive offers - Everyone wants to get exclusive offers from the best stores. This actually enriches our whole shopping experience. 6. Compare - We can't buy a product without comparing it's price at different stores. 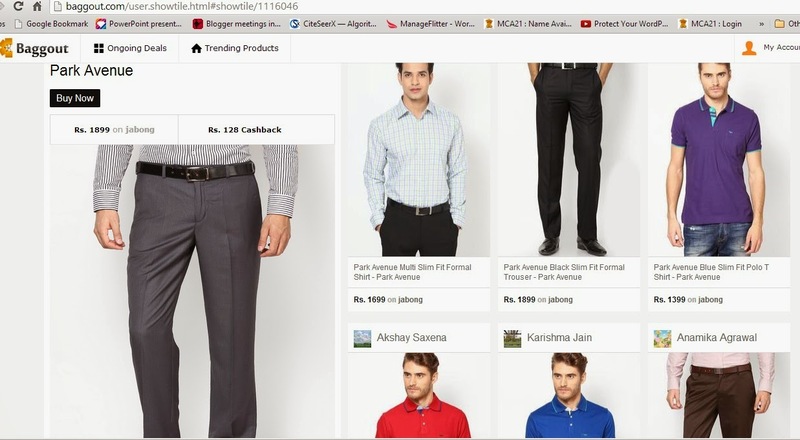 With E-commerce stores, we like browsing different stores to get the best deals. 7. Fast (speed) - An important reason to shop from E-commerce store is that we want to save some time. E-commerce store saves out travel time and the browsing time to find the best deals from the malls. What Baggout is offering ? 1. 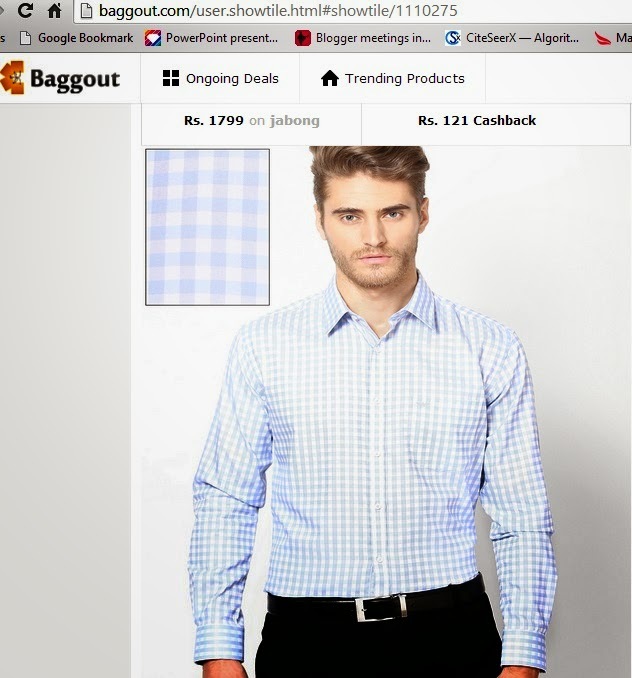 Savings - Baggout is offering cashback on almost all the purchases you do from their online store. Isn't it a tempting proposition ? For sure it is and it will definitely save you a lot of money. 2. Best Deals - Baggout has two sections about Ongoing deals and Trending sections which gives you the best deals from all the leading E-commerce stores. 4. Comfort or Convenience - If we get to see all the best deals from all the leading stores at one place then won't it be comfortable for you to shop ? The answer to this question is "yes". This is the exact feature what BaggOut is offering it's customers. So, you must give it a try. 5. Exclusive offers - I know everyone loves exclusive offers. 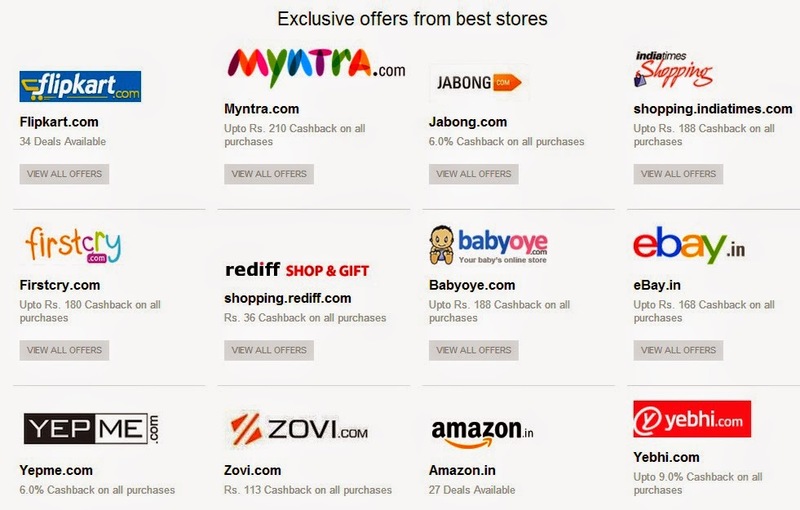 Now, what if I say you will get exclusive offers from all the leading E-commerce stores like Flipkart, Jabong , Myntra and many more at one place then what will you say ? I know you will think I have gone crazy but it's has been made a reality by the BaggOut team. If you don't believe me then go and check it for yourself. 6. Compare - Comparing prices at different stores is what we like now if you get the best deals from the top stores at one place then the whole hazzle of comparing is gone. BaggOut is actually the store where you will get the best deals from all the stores so forget all the worries of browsing through different stores. 7. 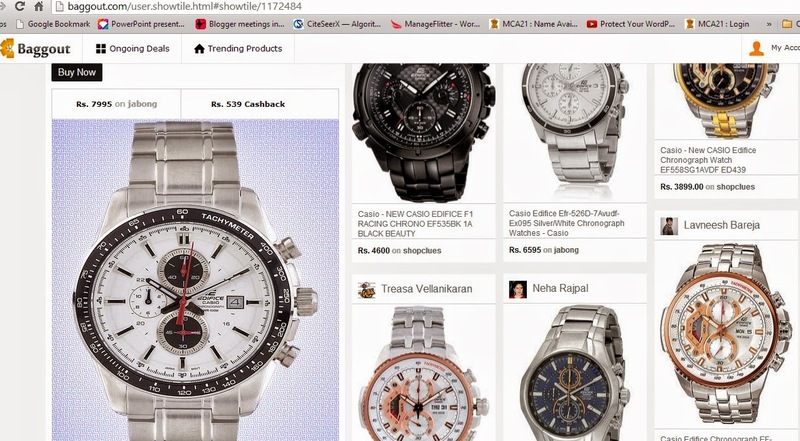 Fast (speed) - E-commerce site saves a lot of time now shopping with BaggOut will not only save you time while shopping but also saves your comparing time and the time you waste on different E-commerce for finding the best deals. Since you get all the best deals in one place hence, the shopping experience with BaggOut is lightning fast. Arvind Kejriwal would definitely say "Iss website se Aam Aadmi ka kuch toh bhala ho raha hai". Good way of posting this. Enjoyed reading.